At the very moment Abdelilah Benkirane was nominated as prime minister of Morocco, the rating agency Standard & Poor’s indicated that it would maintain the grade of Morocco’s sovereign risk at “BBB-“, confirming a “stable” outlook for the North African country. “It’s an important signal to foreign investors, indicating that the victory of the Islamist Party of Justice and Development (PJD) will not be disruptive, at least for now, in the perception of the risk of the kingdom,” said a French consultant based in Casablanca. However, the rating agency noted that it will closely monitor developments in the country, watching the policies to be implemented by Benkirane’s team and its impact on fiscal and macroeconomic stability in the country. The deadline given to the PJD-led government is 100 days. 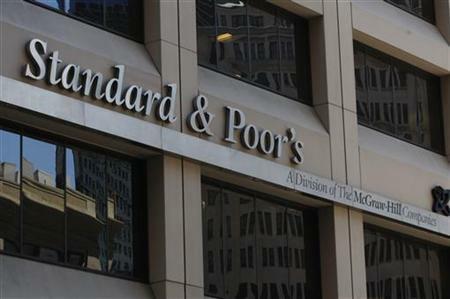 Thereafter, Standard & Poor’s will make an assessment of the suitability of preserving or not its rating of “BBB-“. Among the campaign promises of the Islamists is to increase the minimum salary across all sectors of the economy to 3,000 dirhams a month (275 euros), provide a stipend to companies in order to hire 10,000 would-be employees for a year and a tax exemption on commodities, while keeping the public deficit below 3%. The government should draft measures, but should ensure a balance between these and the demands of international markets. The next three months will therefore be crucial for the perception of Standard & Poor’s over the Sherifian kingdom and its evaluation of the economic expertise of the PJD, who does not hide its liberal orientation in this regard. Morocco World News has exclusive partnership with Correo Diplomatico and is the only entity allowed to publish its content in English. The English version of the story is © Morocco World News. This article can only be published as is with the link to Morocco World News, unless a written consent is given.